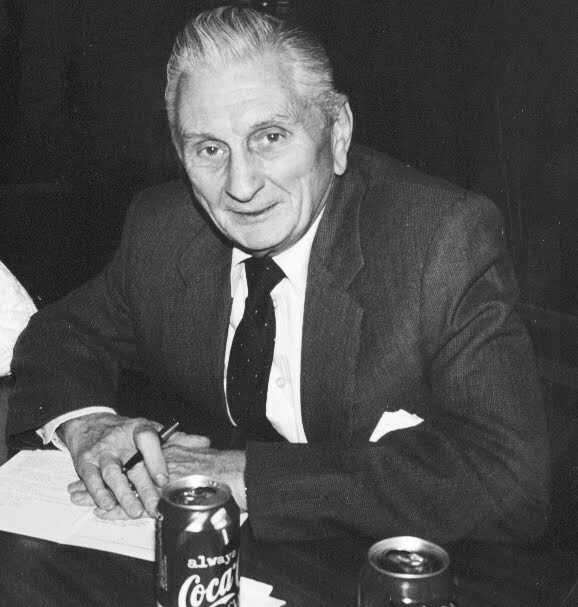 Aleksandra's Note: Bora Rajich was my introduction to the Serbian National Defense Council of America at a time when the Serbs of America needed such an organization the most to be a beacon of light for Serbian people everywhere in a darkening political world. It was 1992, and things in the former Yugoslavia were getting worse by the second. In August of that year, under the name of "Sandy Marquette", my father and I issued our first "Report", called "Serbian 1000 Points of Light", to be distributed far and wide to "educate" and enlighten people of influence as to who the Serbs really were. That September, as I was on my way to New York City and the U.N., to my delight I received a very brief and to the point letter, signed by one Bora M. Rajich, Secretary of Serbian National Defense, informing me that Dr. Rajko Tomovich, the president of SND, and his organization wished to purchase 100 copies of "Serbian 1000 Points of Light". After I returned from New York, I would meet both Dr. Tomovich and Bora at the SND office on Elston Street in Chicago. I took an instant liking to both men and to the organization. Both Dr. Tomovich and Bora Rajich reflected the upside of the bad situation in the former Yugoslavia, representing some of the best qualities integral to Christian Serbians - kind, generous, warm, and gracious. I would spend many hours at the office of Serbian National Defense and was always made to feel comfortable there. Bora, who was consistently full of boundless energy, enthusiasm and good spirits, would go out of his way to make things convenient for me. If another "1000 Points of Light" was requested, he would call me up and travel to where I was, regardless of the traffic. We would meet in the parking lot on the corner of a busy three-way intersection in Chicago. We'd always chat for a while, and with Bora being hard of hearing, this made communication quite a challenge! But we always managed, and I would marvel at his good spirits - he was always happy, always cheerful, always happy to see me. It was an absolute pleasure to be in his company. Unfortunately, my friendship with Dr. Tomovich was shortlived. He passed away in November of that same year, 1992, and Bora asked me to be one of the people to eulogize him at his wake. I was honored to do so. I had grown very fond of Dr. Tomovich, a genuinely lovely, softspoken, kind man, and his death would be the first of many that would follow as the years passed - people who I will always remember as being the "good" part of all the badness that was war. Mr. Slavko Panovich succeeded Dr. Tomovich, and the great relationship with Serbian National Defense continued and continues to this day. In recent years, I saw less and less of Bora, but my memories of him never faded. When I heard that he had passed, my thoughts turned immediately to those days in 1992 and how he had embraced me as a Serbian activist and made me feel like an invaluable part of the family. That meant a lot to me in those days and always will. Though I knew firsthand that his support and appreciation for every sincere effort on behalf of the Serbian people both in the homeland and in the Diaspora was genuine and deeply felt, I had no idea of the extent of Bora's generosity and the depth of his giving spirit. 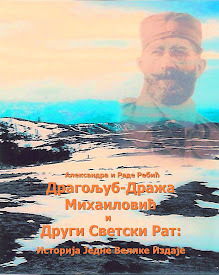 That's why I'm especially thankful to Mr. Slavko Panovich for this tribute to his friend, Bora Rajich, the loyal general secretary of Serbian National Defense for so many years. After a long illness, on Friday May 7th, 2010, the noble heart of a true Serbian patriot and longtime General Secretary of Serbian National Defense, Bora M. Rajich, stopped beating. He was 84 years old. Bora was born in Belgrade, Serbia on August 24th, 1925. He was the first child of Milan and Nadezda Rajich, both professors at Belgrade University. 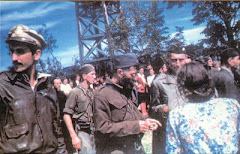 When WWII reached Yugoslavia in 1941, Bora was still in high school, in "Gimnazia". He graduated under the harshest of circumstances, but could not continue his schooling. 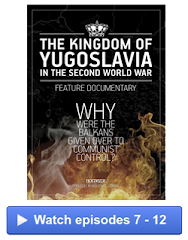 When the Yugoslav communists overtook Belgrade and Serbia, Bora made the decision to leave his beloved country, to escape to a new place to call home where there was freedom from being ruled by a communist dictatorship. 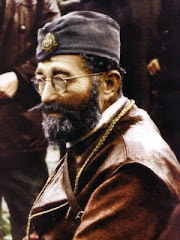 He hid at the Manasija Monastery in Despotovac, Serbia for a while and then passed by secret channels to Greece in 1945. He joined up with a group of Serbian chetniks, among them Major Aleksandar Milosevic and his wife Vera, with whom Bora would remain close until the end of their lives. After some time passed, he moved to Germany for a short period of time and then to England. He worked several jobs until finally finding a stable position driving special buses. In London he would meet his future wife Freda Allman, whom he married in 1952. They emigrated to the United States in 1956, settling in Chicago where they would remain for the rest of his life. 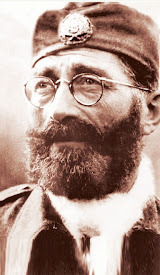 Upon settling in Chicago, Bora immediately became a member of the Holy Resurrection Serbian Orthodox Church on Schiller Street, the Serbian National Defense Council of America, and Serbian Brothers Help. 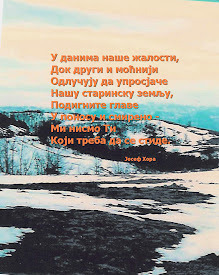 He also became a generous benefactor to the Serbian Cultural Club St. Sava as well as numerous Chetnik organizations. Both Bora and his wife Freda worked very hard and they were able to bring Bora's father Milan, his mother Nadezda, and his brother Milorad to America. His father Milan had spent 12 years in the communist prison at Sremska Mitrovica in Voyvodina. Among those who were in prison with him at the same time were famous pre-war politicians and General Draza Mihailovich's warriors. After leaving prison, Milan wrote a book describing his experience, called "In Tito's Prisons". 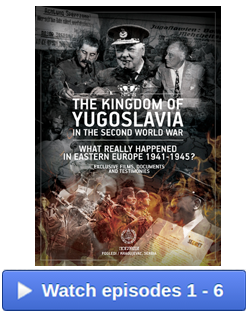 In this book he exposed the criminal behavior of the Yugoslav communists toward the inmates, especially toward the pre-war politicians and Draza's soldiers. After Bora retired he became the General Secretary of Serbian National Defense in 1991, under the presidency of the late Dr. Rajko Tomovich. He performed very well and stayed on in that position to the end of his life. His giving spirit continued to show itself wherever help was needed, and Bora was always among the initial donors. He and his wife Freda were particularly generous in helping children who had lost their parents or who were otherwise handicapped. They inscribed themselves in the book of generous benefactors of the St. Sava Orthodox Temple at Vracar, Belgrade. This writer was present, along with author Antonije Djurich, when Bora donated monetary help to the late Serbian Patriarch Pavle. He donated the same amount on behalf of his parents in honor of their eternal memory. When Serbian National Defense announced the $100,000 reward in March of 2009 that would be given to whomever found the remains of General Mihailovich, both Bora and his wife were among the first to donate. He was once the host of SND's Slava, St. Lazar of Kosovo. 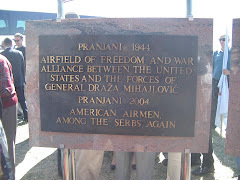 The fact that Serbian National Defense was sponsporing Serbian students gave him particular joy, and he gladly contributed to those sponsorships as well. Bora's giving spirit permeated virtually every aspect of his life in America. He remained an active parishioner and generous benefactor of his church Holy Resurrection Serbian Orthodox Church on Palmer Blvd. in Chicago. He and his wife were hosts of the Church's Slava a few times, and he extended his generosity to the New Gracanica Serbian Orthodox Monastery as well. 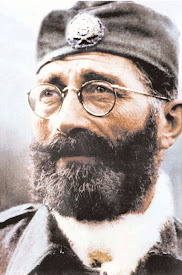 He also remained active with the Serbian Chetniks, Ravna Gora. In 2002, after not having been back in many decades, Bora returned to his beloved Belgrade for a visit. 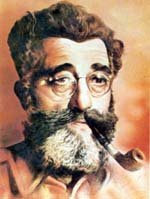 The story of his life was published in many various dailies in his homeland. He would leave this world not knowing whether his parent's land and real estate would ever be returned to him. Those buildings had been taken out of his parent's possession under the "enemies of the people" designation that the Yugoslav regime had put on them. In the last year of his life, Bora was very sad knowing that he could no longer fulfill his duties as secretary of Serbian National Defense, the organization he loved dearly and had devoted himself to for so many years. On the night of Friday, May 7th, 2010, after fighting a hard battle against cancer, Bora passed away. A small wake (pomen) was held at the Muzyka and Son Funeral Home in Chicago on May 12 by protopresbyters Cedomir Kostich and Aleksandar Ivanovich. 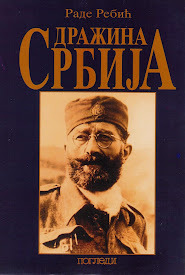 After the pomen, this writer, Slavko Panovich, president of Serbian National Defense, paid tribute to his friend, Bora, by describing several significant moments in Bora's life and his dedicated work on behalf of the oldest Serbian national organization. Mr. Sinisa Marinkovic, president of Serbian Brothers Help, also paid tribute to Bora, enumerating many of the generous humanitarian gifts that Bora had left to all of us so unselfishly. Protopresbyters Cedomir Kostich, Aca Ivanovic, Milorad Loncar, Uros Ocokolic, and deacon Aleksandar Petrovic performed the funeral services on May 13 at the New Gracanica Serbian Orthodox Monastery, where Bora was laid to rest. Prota Loncar delivered condolences to Freda Rajich on behalf of Bishop Longin of New Gracanica and Midwest America. After the services, lunch was served in the Monastery hall, and those who had known and loved Bora shared their memories. To Bora's beloved wife Freda, my "Kuma", and his brother Milorad and his family, we offer our deepest condolences. May God forgive Bora and grant him eternal memory among us for all of the good deeds he did over the course of his lifetime.